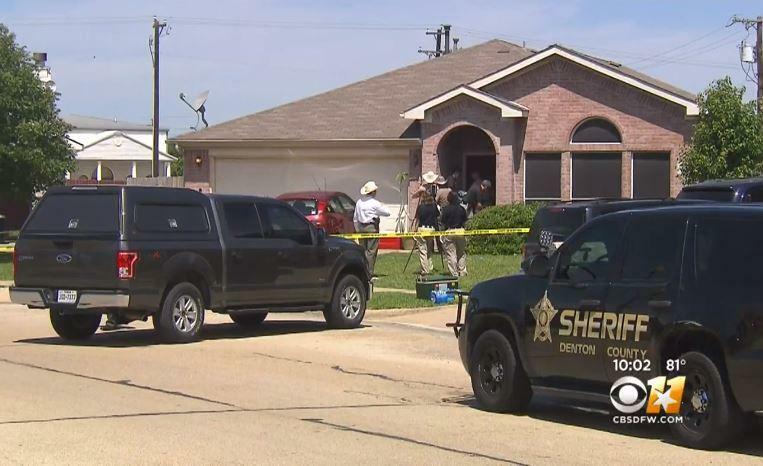 5 killed, grieving Texas mom says she warned ex was "unstable"
PONDER, Texas -- Authorities say a man walked into a rural North Texas home and shot his ex-wife's three children and her boyfriend dead before killing himself. Denton County sheriff's Capt. Orlando Hinojosa says the gunman also shot his ex-wife, but she survived and is receiving hospital treatment. CBS Dallas Fort Worth reported that the grieving mother, Amanda Simpson, addressed family and friends in a public Facebook Live video from the hospital on Wednesday, where she was being treated with a bullet still lodged in her shoulder. Simpson said her ex-husband, identified by public records as Justin Painter, was the shooter, and expressed anger at the judge who handled their divorce, saying she had warned that he was "unstable" after he tried to commit suicide last year. "I made it very clear to the judge that he was mentally unstable. And they didn't listen. So now, I don't have my babies," Simpson said through tears in the video. "I've relived it over and over and every time I close my eyes, I see my babies… I see them dead. Every time I close my eyes, you don't want to know what I see," she said. Simpson said her ex-husband became angry with her on Tuesday in a phone after she rejected his pleas to rekindle their relationship. According to CBS DFW, he walked into Simpson's home Wednesday morning in Ponder, a town of about 2,000 residents about 40 miles northwest of Dallas, and opened fire at Simpson, her boyfriend and her children. CBS DFW says Simpson and Painter were married in 2012 in Tarrant County and filed for divorce in 2017, according to public records. Authorities have not confirmed the ages of the children.